Happy Friday! I hope you had a fantastic week! 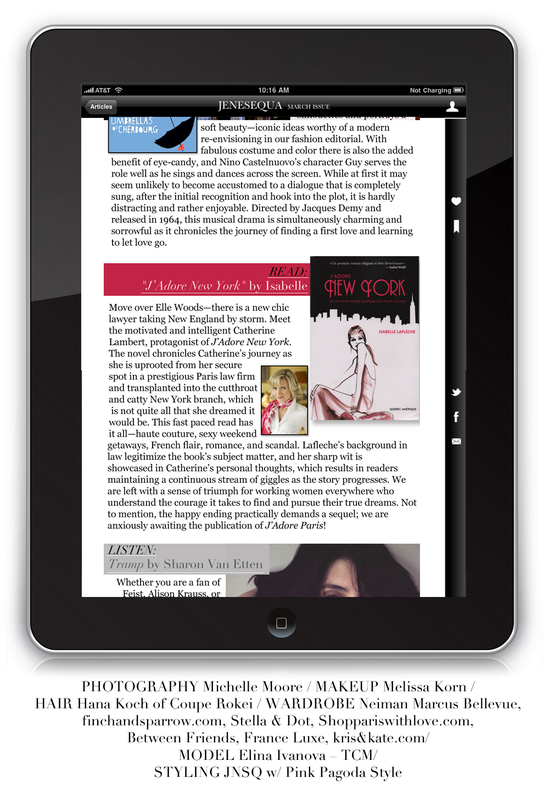 I'm thrilled to share a wonderful review of J'adore New York in Jenesequa Magazine. If you have an iPad, I encourage you to download a copy, I promise you won't be disappointed! You will find great articles about beauty, fashion and so much more. There will be a book giveaway on their website, so please check in regularly. I'm also happy to share my recent Ideabook on Houzz.com. The first picture above is from the New York Times, which put together a great round up of street style photos from all the show. Take a look!